A few months ago, I enjoyed a fun night out with a friend dining on sushi at Jinsei Sushi located in one of my favorite spots in the city of Homewood, Alabama, SoHo Square. Don’t pull my “sushi lover” card, but this was actually my first time visiting this particular sushi spot after hearing great reviews about it from friends. SoHo Square is the perfect spot to house Jinsei as the atmosphere and furniture has warm earthy colors with a contemporary feel. 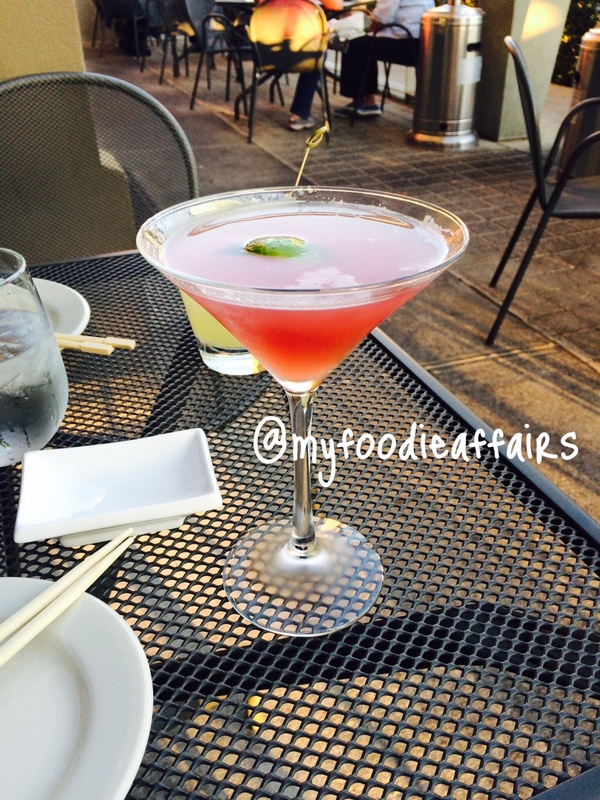 Jinsei is perfect for a girl’s night out on the town or an intimate date night. I decided to order the lobster sushi roll. This consists of tempura lobster, asparagus, cucumber, masago, and avocado. Can you say foodgasm??!!!!! SOOOOOOOOOOO good! Jinsei also has a variety of cocktails on their menu that is sure to please any palate. Please forgive me as I do not remember which cocktail I had that particular evening. Just know it was as good as it looked! 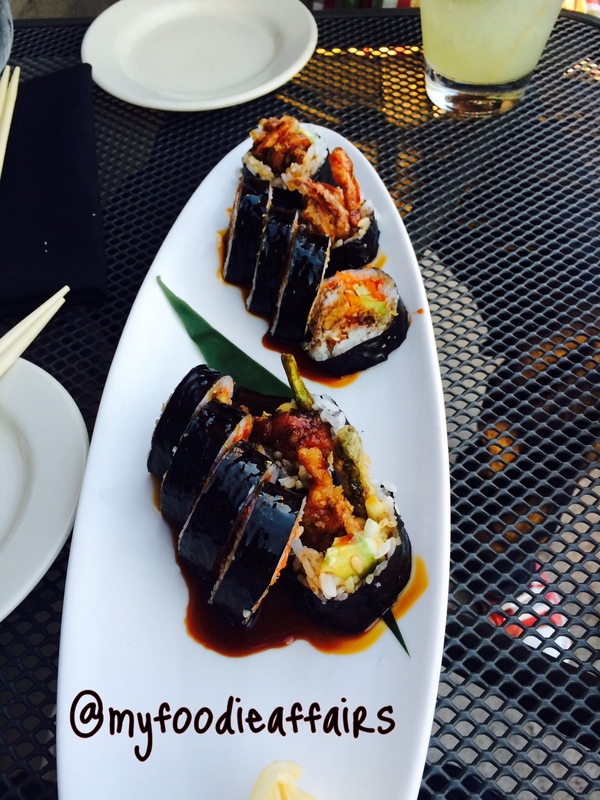 What’s your favorite sushi spot in Birmingham? Have you ever dined at Jinsei? Tell me about your experience in the comments below! Also, if you decide to try this place after reading this post, be sure to come back and let me know about your experience! It’s no fun if we foodies don’t exchange “foodie” experiences, right?! Sharing is caring! Previous Post Uncle Maddio’s Grand Opening! I love Jinsei. Someone told me they had closed. Good to know it’s not!